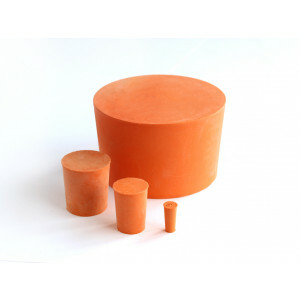 Buy Rubber Bungs and Stoppers from the Hilltop online store today and get a brilliant price. We have a range of solid and single hole stoppers made from your choice of red, natural rubber, grey neoprene and translucent silicone. 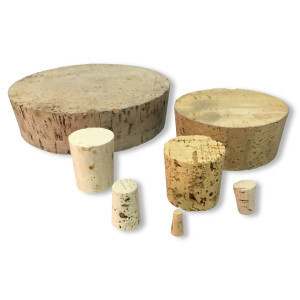 All of the bungs available are ideal from plugging tubes or holes which can differ in size. This means you can buy a batch of rubber bungs in a single size and plug a variety of gaps without having to purchase a different batch. But which bungs should you choose?. Our red rubber bungs are completely natural while neoprene bungs are synthetic but offer better heat resistance (up to 212°F). They are also more resistant to ozone and petroleum based oils. . Silicone stoppers meanwhile are extremely popular in hospitals and other medical environments. They are also widely used in the food science industry, biology and haematology as they offer even better heat resistance (up to 400°F). If you're looking for more information and guidance on which stoppers to buy, please check out our in-depth guide on rubber bungs and stoppers. 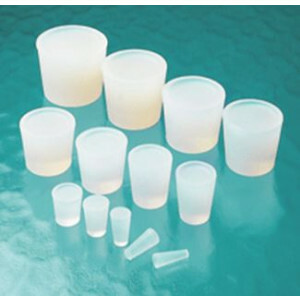 Whichever you choose, solid or single hole stoppers are available so that tubes or laboratory funnels can be inserted. Our bungs are ideal for schools and colleges. Discounts are available for large orders. Why choose Hilltop Products for rubber bungs and stoppers?. 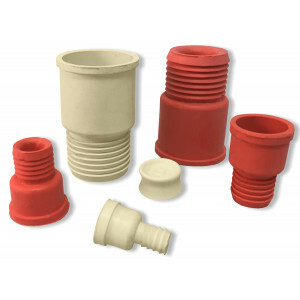 At Hilltop Products, you can get rubber, neoprene and silicone stoppers for extremely competitive prices and low minimum order quantities are available so that you don’t need to pay a penny more than you have to. We can also offer discounts if you buy in large numbers. Order now or call 01942 723 101 for more information.